To connect the frame together I used mortis and tenon joints. On the top of each post I drilled two 1-1/2 inch holes at 45 degree angles to each other and cut and 1-1/2 inch round tenon on the top of the posts and on each end of the cross tie logs. 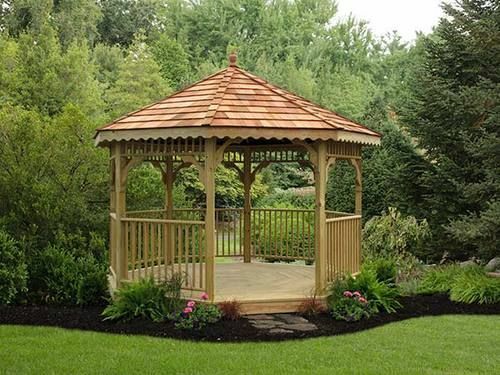 A wrought iron gazebo is a great addition to any yard. 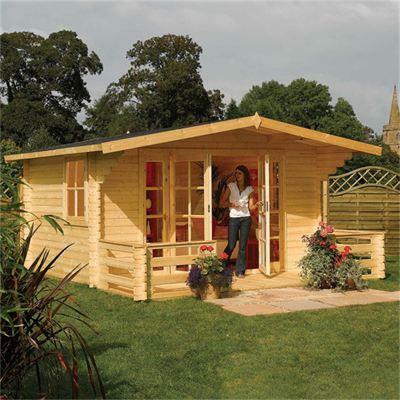 The easiest way to build one is to buy a kit, as the average person doesn’t have the required tools to cut wrought iron. Build up the main wall with another row of timbers, staggered over the joints - slightly less than 12' this time, because run between the ends of your edge rows. 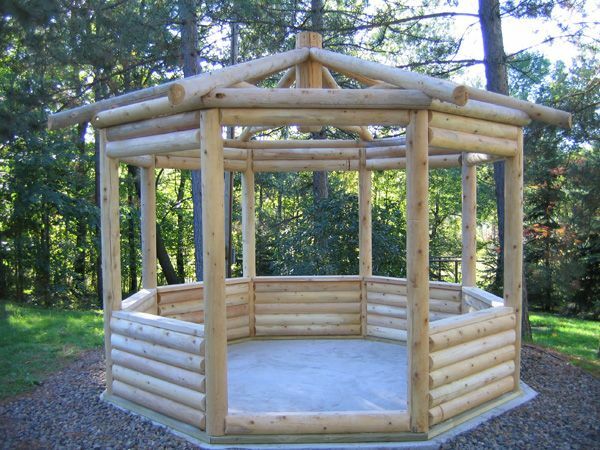 Attach the timbers to the timbers below with landscape spikes.